Hyundai offers one of the best warranties in the industry, however it is only valid if you perform your recommended schedued maintenance. Our ASE certified technicians will not only perform your scheduled maintenance but they will also provide the documentation necessary to protect your Hyundai warranty. We keep your complete Hyundai service records on file just in case you ever have the need to make a claim. 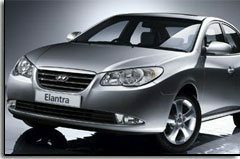 We take great care to make sure the service we provide meets or exceeds the requirements by Hyundai. We care as much about your Hyundai service as you do!